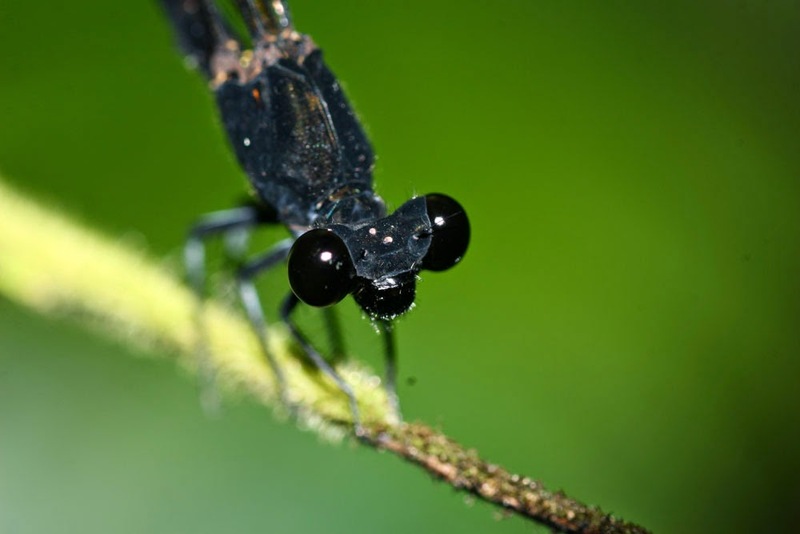 Medium sized damselfly, the mature form flies during rain season, they have been known as a common species in South East Asia. 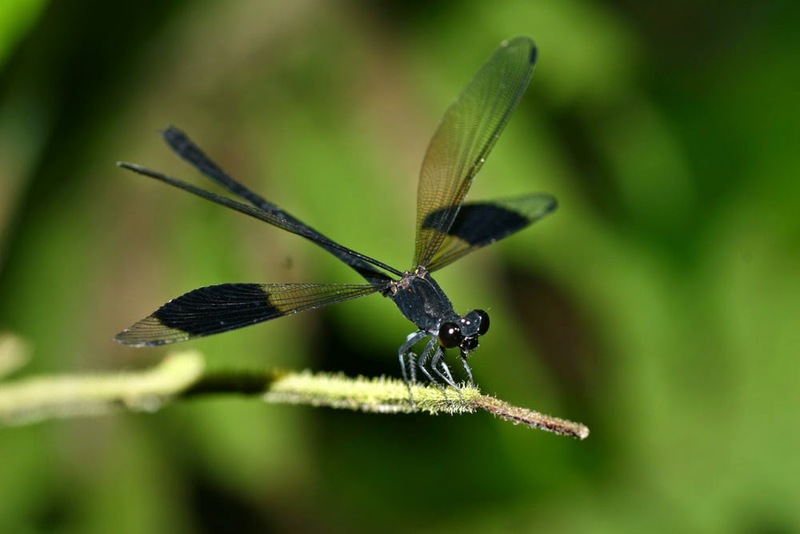 The teneral form has black synthorax marking with dusk yellow marking but it change into dull black in mature form. The fore-wings of male are hyaline and its hind-wings are hyaline with black spot at 1/3 apex. In female, wings are brownish hyaline. 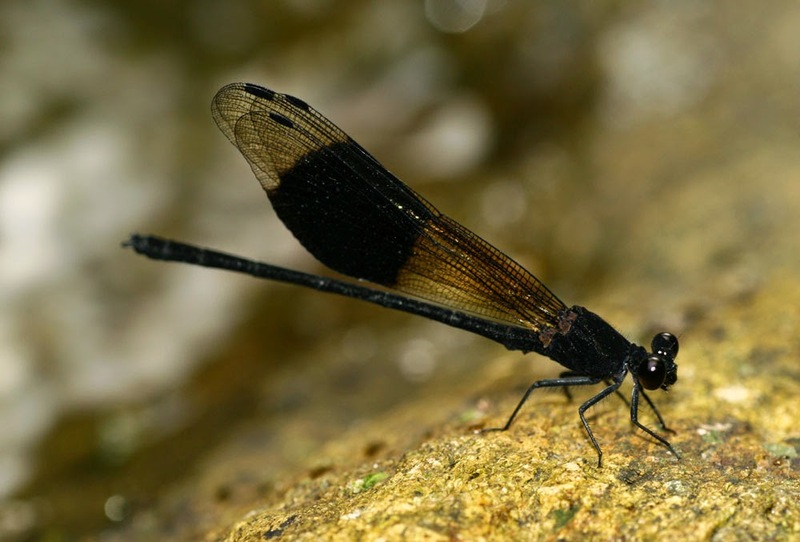 They found at running clean streams in dark or open forests, they usually perch on stones just above water surface or branch of trees 1-3 m above water level. As perching, they some time open or clap the wings (both pair of wings or just hind wings) in sunshine. The males usually fight each other for protecting their territory and mate with coming females which often rest at higher above.